Tell us about your journey into Customer Service. How did you arrive at BookingBug? I have been in customer-centric roles my entire career. Starting during university stacking shelves at a supermarket, to being a customer-liaison at a wheelchair repair company, through many customer-facing roles at software companies, including Experian, Clarizen, and BookingBug to name a few. Each step has served as the building blocks of my career, where I’ve built a strong understanding of what it means to be customers-first in a personalized way. I came to BookingBug for their forward-thinking and fast-paced innovation, as well as to use my own experiences to help the company be successful. Further, working for a disruptive company like BookingBug, has allowed me personal career growth opportunity to continue to expand professionally. I’m proud to say that we’ve done a great job as a BookingBug team so far, and I’m excited about the journey ahead! How did your stints at Reevoo and Experian prepare you for the Customer Success role at BookingBug? I had some amazing managers during my twelve years at Experian and was in an environment that allowed me to define my role and determine how we could best service our customers. I can remember it as if it were yesterday, I gave my boss a job spec and said “this is what I think we need and this is what I want my role to be.” In today’s world, this would be a Customer Success team, but that term didn’t exist 10 years ago! I was so lucky that he said “go ahead”–and the rest is history. I am certain I was one of the very first people to do a Customer Success job in the UK, and am proud to be both an innovator and an evangelist for the profession. The role at Reevoo was similar to BookingBug in the early days. I had a very small team and grew it into a global department of many functions spanning all areas of Customer Success. When I got to BookingBug, I had the pleasure of repeating this process, making sure I considered all the lessons I’d learned and the many mistakes I’d made, which has allowed me to make the BookingBug Customer Success team even more successful. What is BookingBug and how do you differentiate it from other customer journey management platforms? BookingBug helps our customers to orchestrate a seamless customer journey by helping them bridge, what we refer to as the “failure zone”, between the digital and physical worlds through appointments and events. Our customers know that their prospects spend hours browsing websites and performing online comparisons for relatively little reward, leading to lower conversion rates and basket sizes. We help them compete against the “Amazon-factor” of low prices and convenience by using their greatest assets–their staff, to add personal touches and expertise. And their physical footprint, to bring their brand engagement to life in valued and memorable ways that lead to long term relationships. Our retail customers, for example, have seen 3x increases in basket size using BookingBug. What really sets BookingBug apart from our competitors is our open-API platform. Our leading technology stack is flexible, adaptable and entirely configurable, with the ability to grow to meet the evolving business needs of our enterprise customers, at scale. Our ISO 27001 certification also ensures data security is at the heart of everything we do. Because businesses today require a diverse infrastructure to deliver ongoing customer value, BookingBug’s rapid implementation helps achieve quicker ROI and efficiency, while delivering instant improvements to the customer experience. How different is customer success with Digital Conversation for marketing and sales technology products compared to other technologies such as IT SaaS and Cloud? The essence and ethos behind customer success are the same. With the introduction of SaaS, subscription licensing, and a recurring revenue model, we’ve moved to the age of the customer. Customers have taken charge of their journeys. Traditionally, you’d get 90% of your total customer lifetime value at the point of initial sale. Today it’s more like 10%. Your customer success team are there to drive loyalty, prevent churn, and build lifetime value–no matter the product. 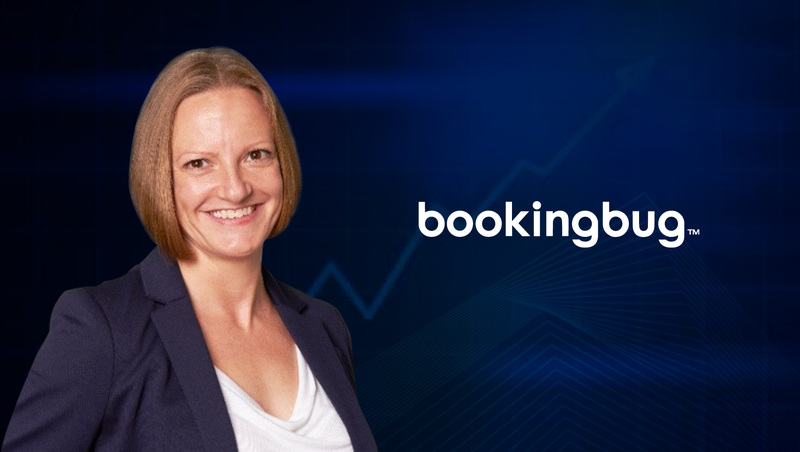 When I’m recruiting for the BookingBug CS team I look for individuals that are able to relate to our customers’ goals, including the difficulties customers might have with their own clients, due to the speed at which the digital world is still evolving. They need to be able to change quicker than our customers can. They also need to have a hunger to learn and be able to collaborate, and not be afraid to provide advice on some oftentimes-futuristic-sounding ideas. But most importantly, I look for the ability to have some fun in their role. Customer Success is absolutely NOT Customer Support. The Customer Support team is a mostly reactive role that fixes things when they’re broken. Customer Success is a proactive, success-oriented, revenue-driven set of concepts. It’s an organizational structure, a discipline and also a philosophy. Customer Success and Customer Support haven’t been immune to rapid digitization and, in many ways, this is nothing but positive. Being able to route customers to solutions without a human touch decreases the cost to serve, and increases your team’s efficiency. For example, you can automate your problem solving, route calls to experts, and automatically renew contracts. But the key is to achieve this without degradation of your customers’ experiences. That’s both the biggest challenge and one of the most fun parts of the role of being a Customer Success leader! What are the core strategies you focus at, for Global business development? How does it impact your revenue channels? We sell directly and through partners, concentrating on key industries where we know our solution will offer the most benefit. In the age of the customer-first, it’s important to ensure our customers are seeing value from the solution as quickly as possible. Our advice to our customers is normally to start small and then expand from there, rather than going for a big-bang more typical of on-premise deployments. What are the major challenges and opportunities for Customer Success executives in the highly disruptive personalization and Customer experience ecosystems? Presenting both the biggest opportunity and the biggest challenge is that there’s no blueprint for customer success. A lot of what we do is still very visionary as customers can sometimes take a long time to go through each step of their journey. Each journey is also unique and while there are certainly some industry leaders who set a standard of what personalization and a successful customer experience looks like, there is no set path and it requires complete customization. Our culture is based on customer empathy, industry expertise, consultation and not being afraid to do something new. You also need to be willing to embrace diversity and have a great sense of humor to be part of the BookingBug team. However amazing the company or the product you represent, every business has one aim–to be a success. Unless everyone is pulling in the same direction and has a commercial mindset, your organization will not get the success it deserves. Within BookingBug, we spend a lot of time ensuring that every person, on every team, understands our company metrics so they know the impact they have on our success. How do you achieve this culture-balance at BookingBug? What percentage of this is driven by the application of technology, reporting tools, and coaching? We have an inclusive culture and are keen to recruit people that are representative of our customers. We mix more and less experienced staff together to provide growth and coaching opportunities and to make use of all the technologies we can. Our success is 100% down to our fantastic staff but I, and the rest of the management team are there to ensure we achieve that success by leading by example. I love a spreadsheet and each of my teams has their own giant workbook with more pages of stats than one could ever find useful! My team will all tell you I’m definitely the person to come to if you need a hand with macros and pivot-tables! In this world of big data, we’ve hit a point of information overload. For example, if you want to book a holiday, there are so many options and promotions, consumers typically have no idea where to start. From a sales perspective, this means you need to know who your market is and how to approach them, as well as knowing the right way to connect with them. For a sales driven company, this means leveraging technology to be the expert. Understand the customer and use technology to meet them whenever and wherever they want you to. We’ve moved to the age of the customer – customers are in charge of everything and know everything, meaning businesses need robust chat bots that can do more than just answer simple questions. Chatbots need to be able to influence the sales journey and move a buyer through the sales cycle to the point of purchase. My role is focused on relationships with existing customers rather than new, so in an AI-driven environment, this means using data to understand everything about them. Relationships are so important, so we need data to understand all of the different ways we impact our customers. If a customer puts in a support ticket, you need to understand what their pain points are, and support them in the best way possible. Whether this is through an upsell for new capabilities or to resolve an issue. In the world of the right-now-consumer, sales teams need to leverage data to know what the right touchpoint is for each individual journey. Gainsight Pulse and Customer Success Network. These are the real experts in customer success, providing networking opportunities and the ability to learn about trends in this growing industry. Never be afraid to fail. Failures are where you get your biggest learnings. Also, the customer is not always right; you just need to be able to help them see a different point of view. For example, when you’re in a sales situation, it can be easy to say you can customize your product for their needs. However, sometimes this can be a huge undertaking which isn’t always worth the ROI. Customers and prospects want you to be straight up with them. You may be able to easily meet their needs, but it’s important to know yourself and your company well enough to say no and push back when you need to. Dan Steinman and Nick Mehta at GainInsight and my boss, Glenn Shoosmith, CEO of BookingBug. Thank You, Hayley-Jayne, for answering all our questions. We hope to see you again, soon. BookingBug is a Customer Journey Management platform built for customer-centric enterprises. BookingBug offers a complete suite of solutions for Appointment Booking, Events Management, Queue Management, Call Center and Insights with a scheduling engine at its core. Hayley-Jayne Cone is an innovative, customer-first leader with FTSE:100, scale-up and start-up SaaS experience who specializes in business improvement through operational excellence. She is a fore-founder of Customer Success in the UK with a proven track record of delivering strategic initiatives, developing and significantly expanding departments/business functions and transforming performances and results. She brings international sporting experience and related qualifications to approach multi-million-pound client retention, service delivery, and account growth targets in a structured and results-driven manner.